Fermaway - Water purification in a natural way. No chems. The FERMAWAY® aeration system is a patented and specially developed technology for water purification in a natural way, without the use of chemicals. 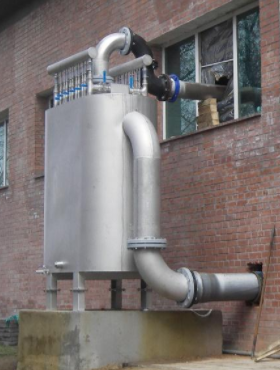 The process is a combination of intense aeration, natural chemical oxidation, biological oxidation and filtering on sand filters. 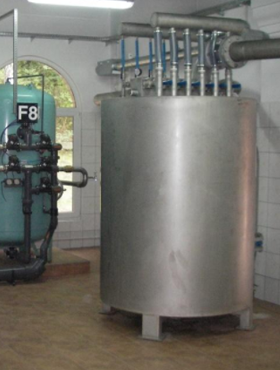 With our own developed and improved technology and equipment, successful and effective natural water purification with high energy and financial savings are achieved. Ground water has often a high content of iron (Fe), manganese (Mn), hydrogen sulphide (H2S) and/or aggressive carbon dioxide (CO2). High contents of ammonium (NH3) and nitrite (NO2-) can also be found in ground water. In different areas of the world VOC (Volatile Organic Compounds) and the radioactive radon gas (Rn) might also be a contaminant in ground water. The FERMAWAY® aeration system purifies ground water from all these contaminants with an outstanding result meeting the quality requirements for drinking water prescribed by the European Union directives, giving a clean and tasty drinking water to a low cost. A new waterworks in Poland in Miedzyzdroje (2007.). 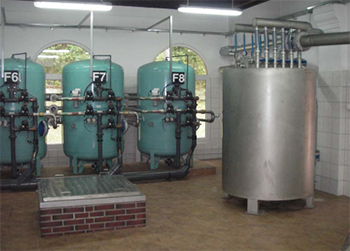 The enhancement of the natural water purification process has proven to be the right method of filtration of raw water to pure drinking water. 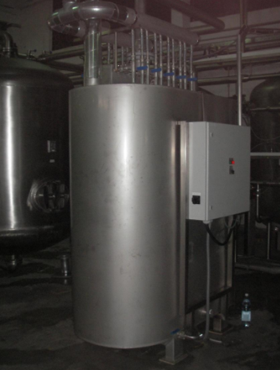 By aeration of raw water, with intensive mixing of water with clean filtered air, the basis for successful water purification is created. 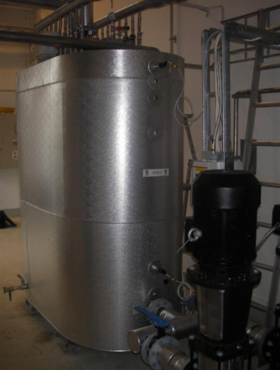 Efficiently, gases are removed from the water, which can prevent or interfere with the water filtration process, while at the same time creating a favorable environment for the development of useful microorganisms that complete the purification process.